Somewhere about the time that Bill Morrison was explaining how Dawson City was responsible, in a way, for Ken Burns and his style I started to quietly sob at the back of the Museum of Modern Art's screening room. Somehow Morrison's marriage of film, photos, music and history completely overwhelmed me and I started to cry. There was nothing particularly moving about the notion (though one of the first things I wrote in my notes was a comment that it played like a Ken Burns film) rather it was a combination of the unearthly beauty hitting me with the odd sadness that this place, that was the end of the line was for some, was, in it's way, a key factor in the development of the film industry - though no one knows it. To me, who loves film probably above everything else, it was a moment where I realized that if it wasn't for this small town movies might have been different. (As well as history since the family fortune for the Trump family started in the whorehouses of Dawson City). This isn't to say that you will be moved to tears by the film, I have my own odd sense of history and deep love of film and how the film struck me is my own reaction. On the other hand the film is a glorious technical achievement and deeply moving on it's own terms. While I have no trouble calling it one of my favorite films of 2016, I also have no trouble saying that the film is one of best of the best films of the year as well. 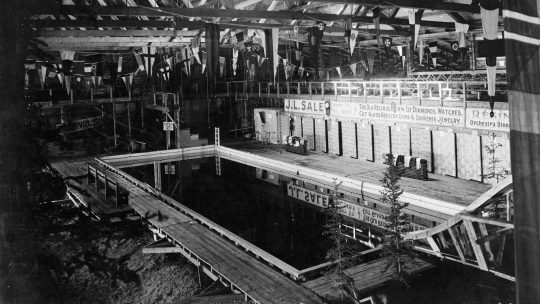 Nominally the film is the story of the discovery of a cache of hundreds of nitrate film reels that were buried on the site of an old swimming pool in Dawson City. For the films that played the city's cinemas this was the end of the road, literally. Two three or five yeas into their run the studios didn't want to pay to have them shipped back from the middle of nowhere Canada, so the studio told the town to destroy them. Some were dumped into the Klondike river, some were burned and the lot they found were used as land fill. Forty years later they were dug up and a treasure was discovered. But Morrison isn't interested just in the films, but the city and all cinema as well, so flashing back from the discovery he tells us the story of the town- and the people who lived there and traveled through it- and in the process tells us this grand interrelated story that stretches all the way to Hollywood and beyond. The most amazing thing is that there is almost no spoken words. Its almost all text. The images are mostly the found nitrate prints mixed with another cache of still photographs. Morrison blends them all together to create a cinematic poem that goes right past the conscious into the subconscious where it affects us like a dream. One drifts off on the sound and images as if on a trip. I've never seen anything remotely like it - except in Morrison's other films. When the press screening ended those of us at MOMA staggered out into the light trying to make sense of this world of color. One writer corralled the PR person for the film and began to plead for a screener for the film. "PLEASE" he implored, "I need a copy of the film. I have to write on it and there is so much to say I have to reference the film while writing". There was an urgency in the pleading that said to me that there was more a need to see the film again and again much like a junkie needs a fix. And there really is too much to say. Here is a film that is operating on several different levels- its histories of the found films, of all film and of the town. It is an examination of the cinematic viewing habits of people. Its a film about reality and fiction. Its a film about morals. Its a film that you can talk about for several days and still have twice as much left to go over. I'm still trying to work out where to begin talking about it.There is so much to say that I'm completely certain that many doctoral thesis will be written about this film. Later in the day I ran into another writer who was at the screening and she was left shaking her head by the film. Yes she enjoyed it. Yes the film moved her, but the film also frustrated her because she realized late in the film that she had been taking notes incorrectly. What she was noting wasn't the what she should have been noting, instead the film was much more complex and much more amazing than she had first thought. There were things, emotions and thematic elements she should have been noting instead of the cold hard facts. 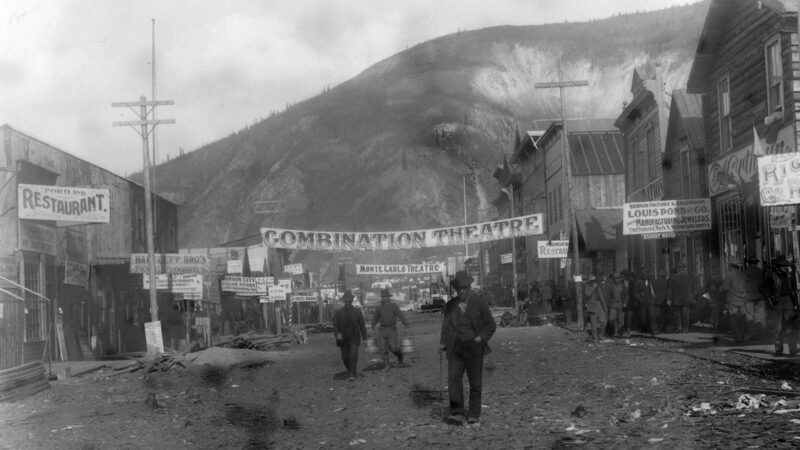 Seeing DAWSON CITY is one of those moments where you realize you've seen something truly special and the universe changes before you. Please find time to see it big because the images and the music are over powering- they will leave you feeling you never need to take drugs because the film will transport you. See it big because the effect of seeing this small will not be the same. What can a film do? When it's DAWSON CITY it can do anything you can imagine including alter how you see the world. DAWSON CITY FROZEN TIME is likely to be one of the best films you'll see all year - it was for me. 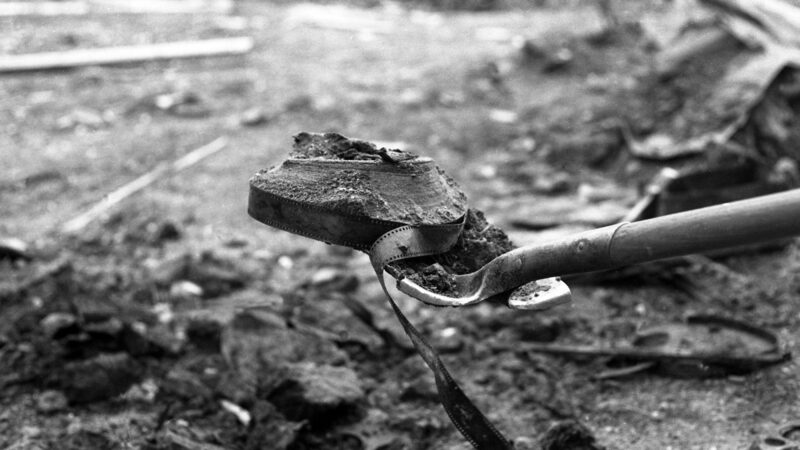 DAWSON CITY plays October 2nd and 4th at the New York Film Festival. For tickets and more information go here.